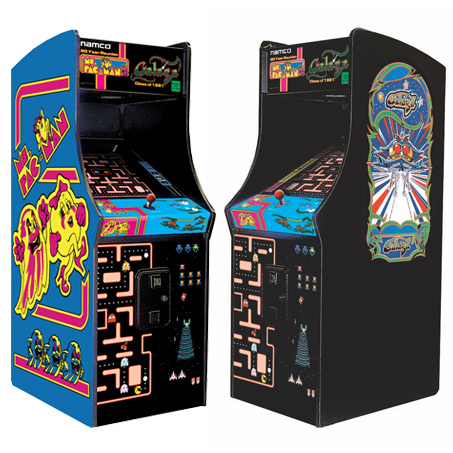 Relive the 1980's with games like Ms Pac Man & Pac-Man! 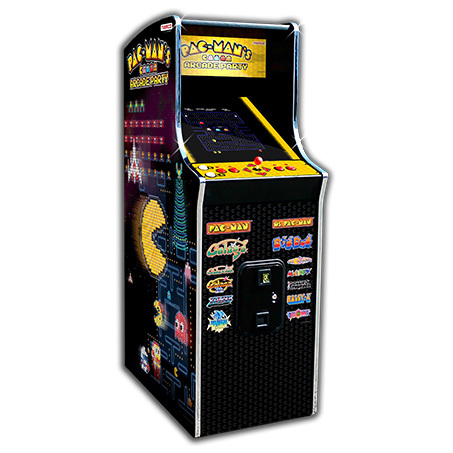 Players gobble their way through the classic Pac Man mazes while trying to avoid Inky, Blinky, Pinky and Sue, so players can swoon and fall in the arms of their one true love, Ms Pac-Man! 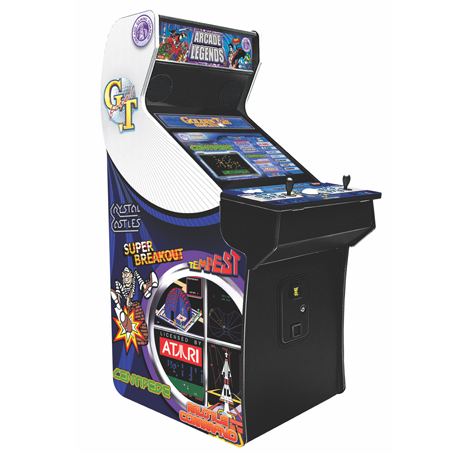 And with the other classic 80's hit Galaga, players blast evil hordes of insect-like fighters coming at them, while avoiding capture! 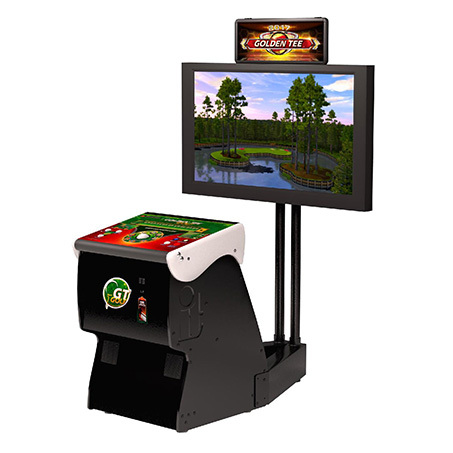 The fun's all inside the same sized cabinet as the classic arcade version without the functional coin door, complete with a commercial grade 24" arcade monitor and real arcade controls.